Yield: Makes 1 to 2 servings. Servings: Makes 1 to 2 servings. These days cooking dinner seems more like a chore than a necessity. Apparently, everyone else thinks so, too. The Washington Post released an article last may talking about The Slow Death of The Home-Cooked Meal. In this article, we find that over the last year, only 60% of home meals were actually cooked at home (Ferdman, 2015). This Garlic Tonic Soup has very few ingredients but the flavor will still knock you off your chair. Sure it might not be as cheesy and covered in pepperoni, but it can cure a cold pretty quickly. And, it might even keep away the vampires (haha). The best part is that even though it contains an entire head of garlic, this simple garlic soup is soothing, mellow and mild. Not so garlic strong that it will burn your tongue. 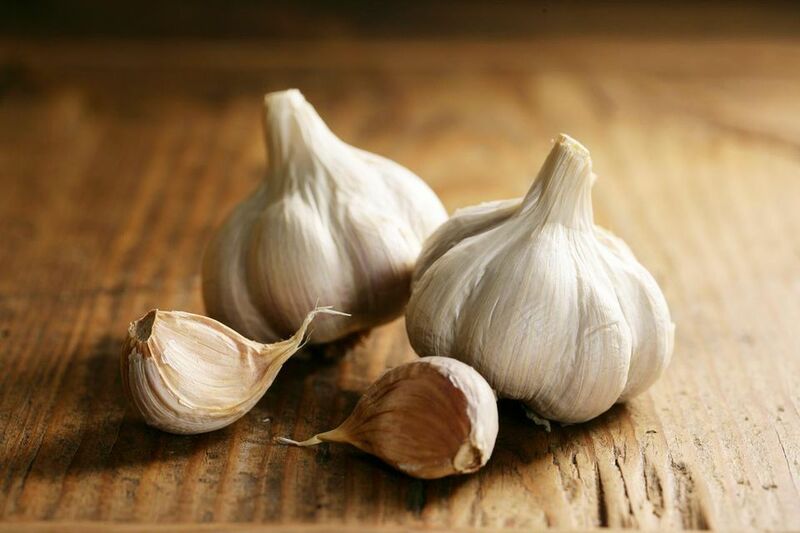 It can be enjoyed regularly to support healthy immune function, or try it at the first signs of illness, to harness garlic's antiviral and antimicrobial properties. Garlic is also known to help maintain healthy blood pressure levels. Worried about garlic breath? You see ​garlic loses a lot of its "bite" when baked or cooked. You may have a slight sweet reminiscence of garlic on the breath, but you aren't going to make others pass out! Start by placing the broth and garlic cloves in a small saucepan over medium heat. Next, bring the broth to a boil and reduce heat. Allow the broth to simmer, partially covered, until garlic softens. This may take about 10 to 15 minutes. Lastly, using an immersion or regular blender, puree the soup. Season to taste with pepper and sea salt and enjoy! Try adding some finely chopped chives and add after you puree or top as a garnish. Try browning the garlic before boiling with broth. Browning of the garlic clove can be done by baking in the oven or by sauteeing with oil in a non-stick skillet. This will add some caramelization to the outside of the garlic cloves and provide an extra element of flavor. Store refrigerated in an airtight container for up to 3 days. You may have to re-emulsify before eating leftovers as ingredients may separate and settle at the bottom of the dish. Don't Let That Parsley Go Bad!